Grandma Bonnie's Closet: Disney Vacation!! 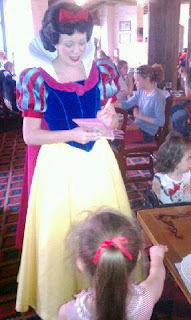 My granddaughters are on vacation in Disney World. I wish I could have joined them. I have been assured they are having a blast! I have a few photos to share. Sorry about the poor quality and grainy texture. The photos went from cellphone to cellphone and then emailed to my computer. I love the photos any way. 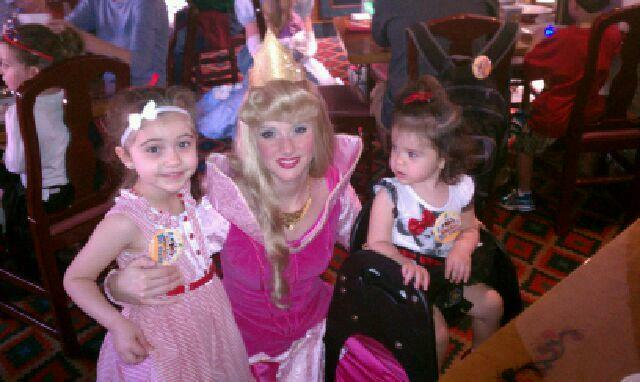 I think Sweet Pea was not so sure about these so call princesses. 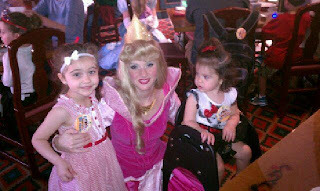 It looks like Pumpkin was impressed to meet her favorite princesses. I hope you all have a great weekend. If you have not already entered the following giveaways please feel free to do so. Kindle Touch w/special offers and 2eBooks. My kids would be so jealous if they saw those pictures. I wish all the family would have been together for this. They were so happy. 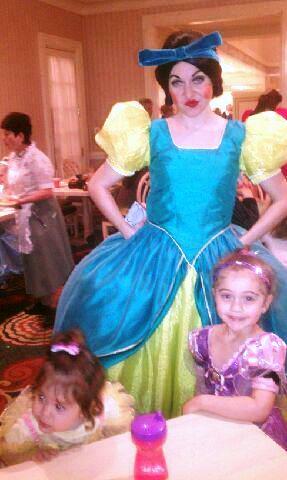 Those evil stepsisters really are evil. When we were at dinner, they purposely skipped the family behind our table because the lady jokingly asked her why she was so mean. 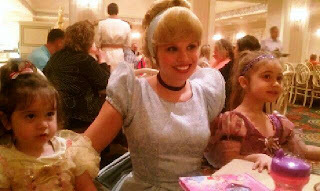 The sisters never came back to their table and the family got really upset and stormed out. I was surprised at what had happened. I'm sure if the family waited a bit longer, they would have come around. It was wrong to make them wait so long though. It was kinda funny in a way...typical stepsister actions.